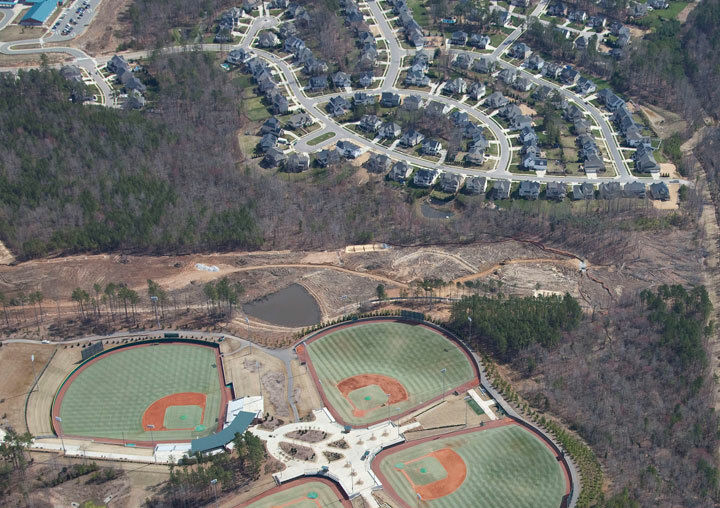 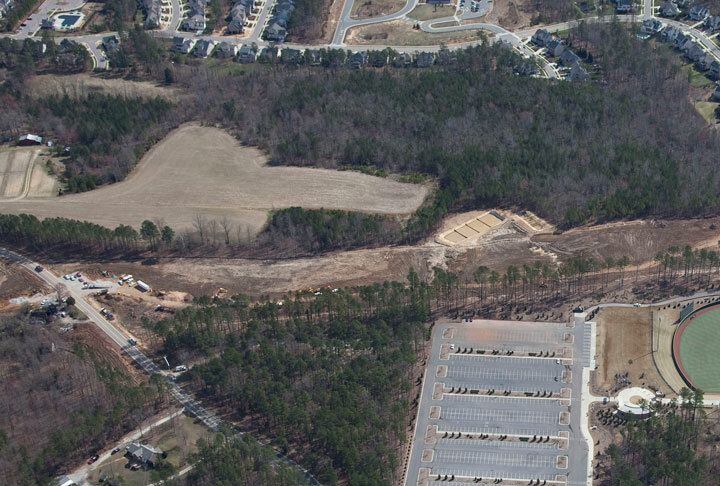 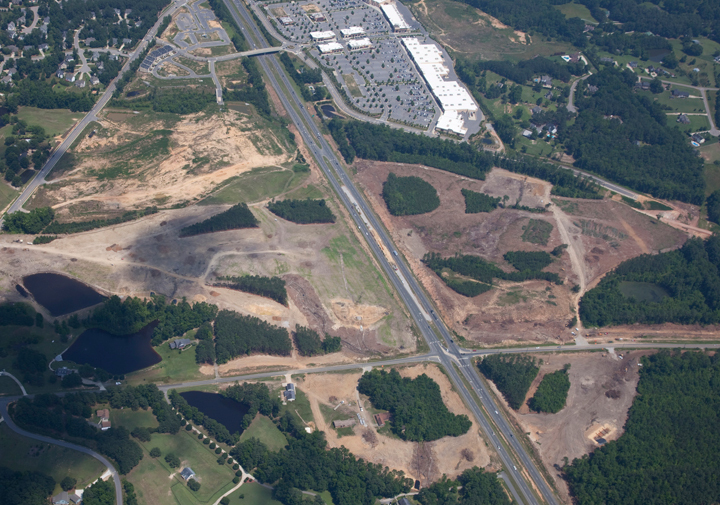 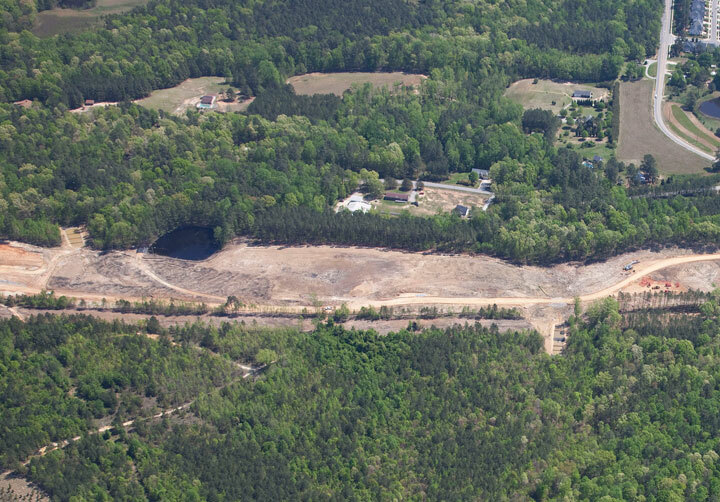 With well over 500 completed projects during its first 10 years, Clear-Con was selected to clear the land for the Interstate 540 project in western Wake County (NC), the largest single project in the history of the North Carolina Department of Transportation. 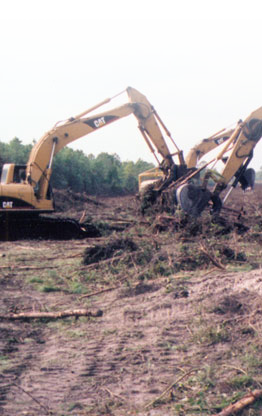 In addition, we have also worked on smaller highway construction clearing projects, always providing quality, expert services. 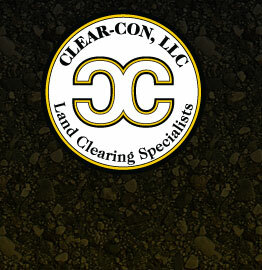 For a closer look at the progress and process of some of Clear-Con's highway clearing projects, click on the thumbnail photos below. 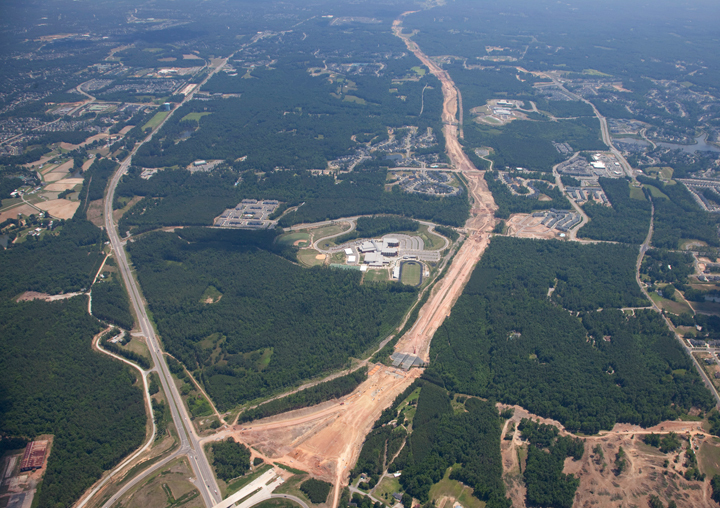 Interstate 540 Bypass around Raleigh, NC in Wake County. 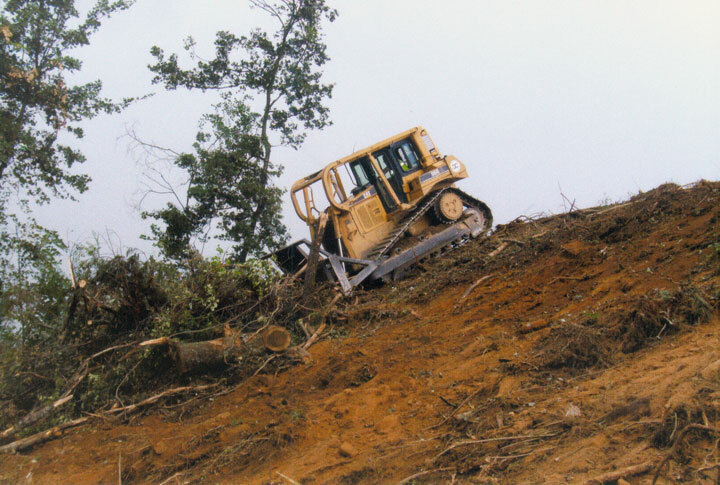 US 25 project: Two D6 Bulldozers taking brush down a slope for to pile for a wood grinder. 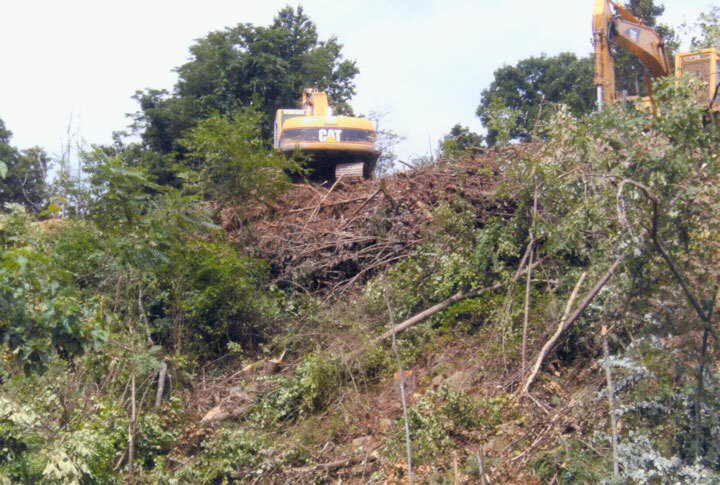 US 25 project: D6 Bulldozer taking brush down a slope for to pile for a wood grinder. 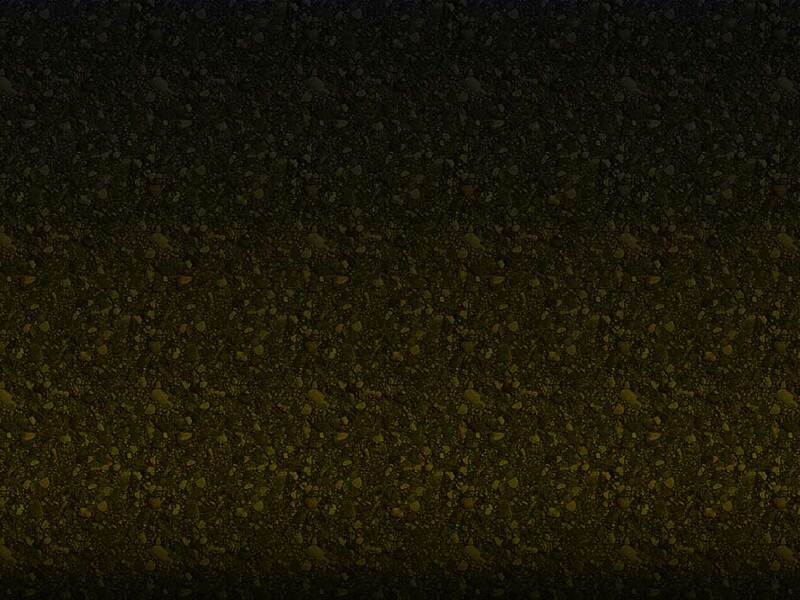 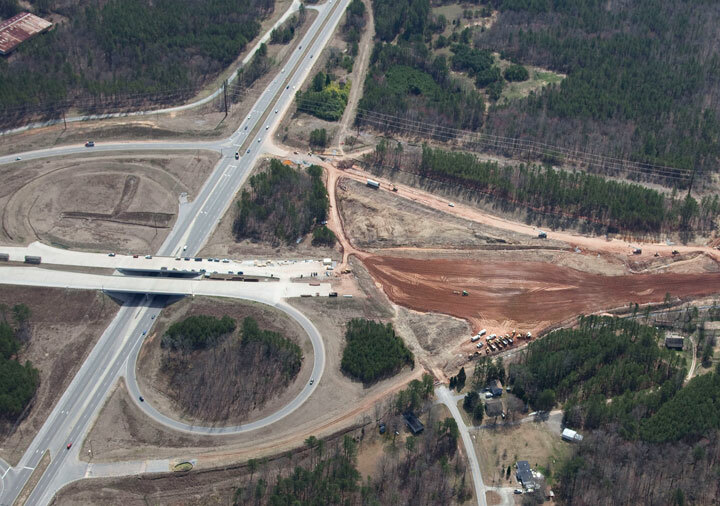 Interstate 140 Bypass around Wilmington, NC. 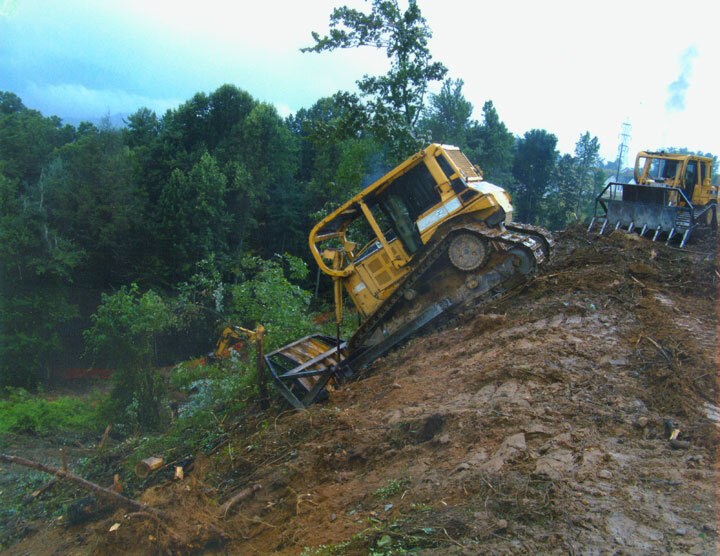 I-140 Bypass: NC DOT owner, sub to Barnhill Contracting Co., Inc. 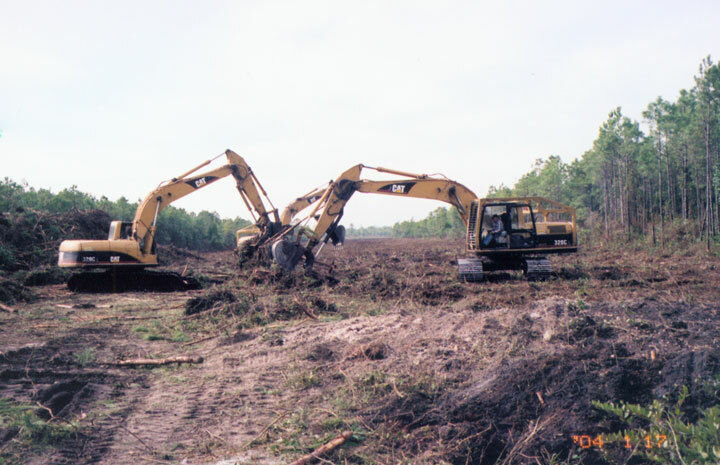 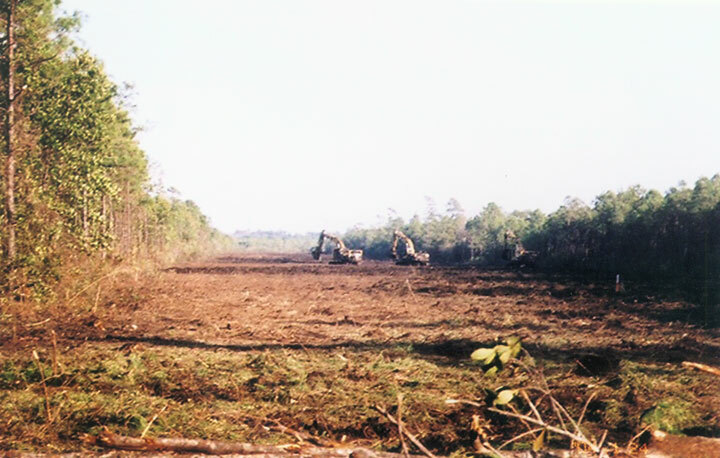 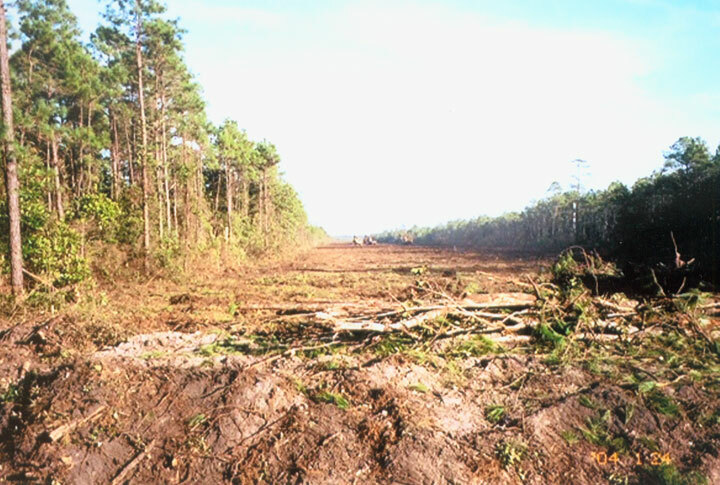 This coastal highway project included 80 acres of tough wetland clearing. 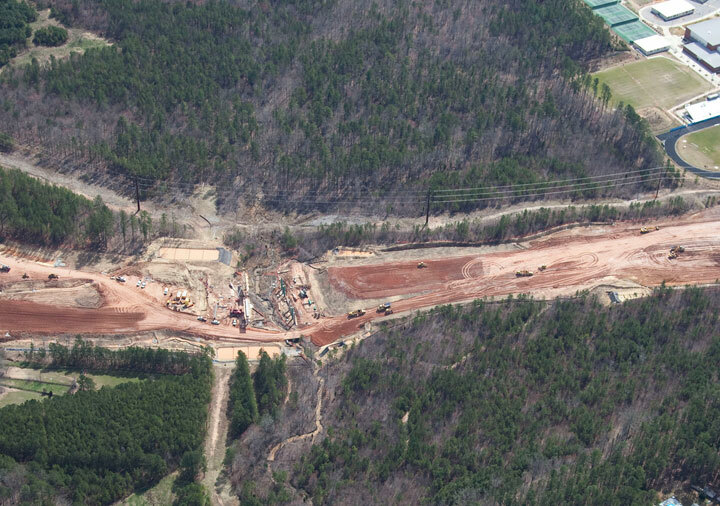 I-140 Bypass: Clearing phase of the project finished 35% ahead of schedule. 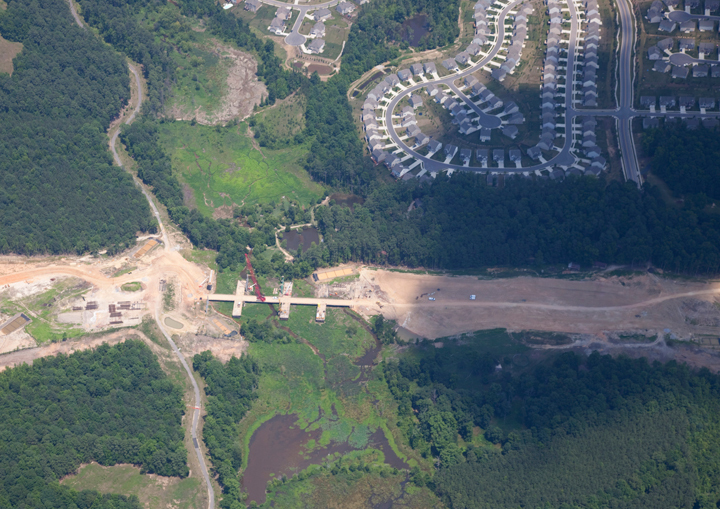 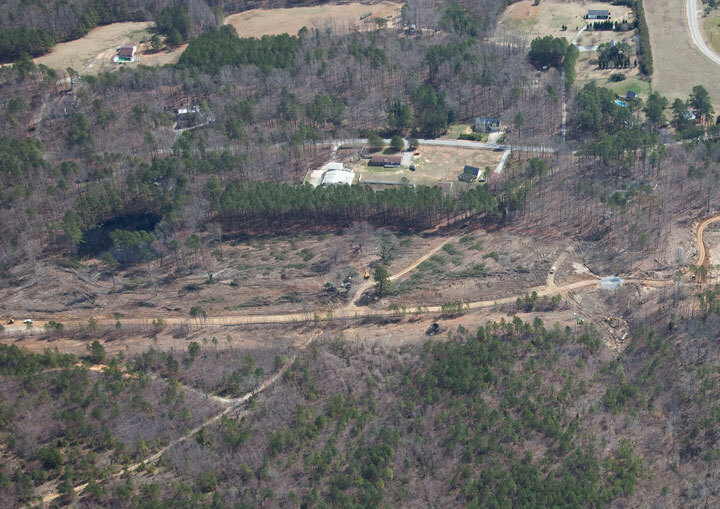 This is the beginning of I-540 Western Wake Freeway in Wake County, NC.